Hut with the Arc Wall is an artwork that I wish I had more information before visiting. 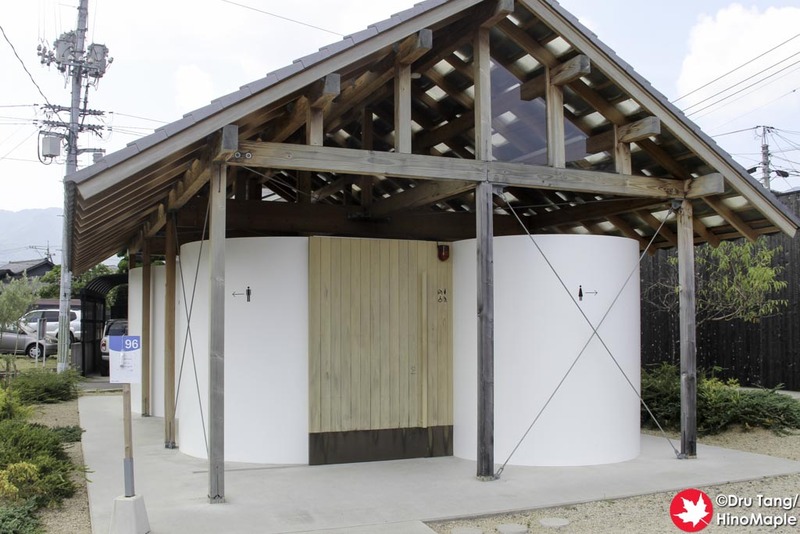 Yo Shimada created a hut with an arc for a wall that was basically a public washroom. There are 2 public washroom artworks that I know of on Shodoshima and this one unfortunately disappointed me. While I thought it was beautiful, I didn’t understand why it was art when I visited. I really wished there was more information to tell me about Yo Shimada’s vision, but even on Yo Shimada’s official website I couldn’t find much information. Due to the lack of information on Hut with the Arc Wall, it was difficult for me to understand it. This is the main reason it didn’t speak to me in the way many of the other artworks did. I really didn’t understand it but the more I researched it the more I could understand the general vision. I believe Yo Shimada wanted to create a space that reflected the soy sauce factories of the area and to reflect the huge cedar barrels used for making soy sauce. The more I read into it the more I can appreciate the vision but I would like to hear a lot more about it if possible. The actual architecture is quite beautiful. The building itself is a roof supported by 4 small wooden pillars and a single curving wall that creates the women’s, men’s, and handicap washrooms. There are no doors and the curves of the wall create privacy. Of course the toilet stalls do have privacy doors but the rooms are completely open, yet private. The roof is also pretty interested as the roof is not completely “solid”. 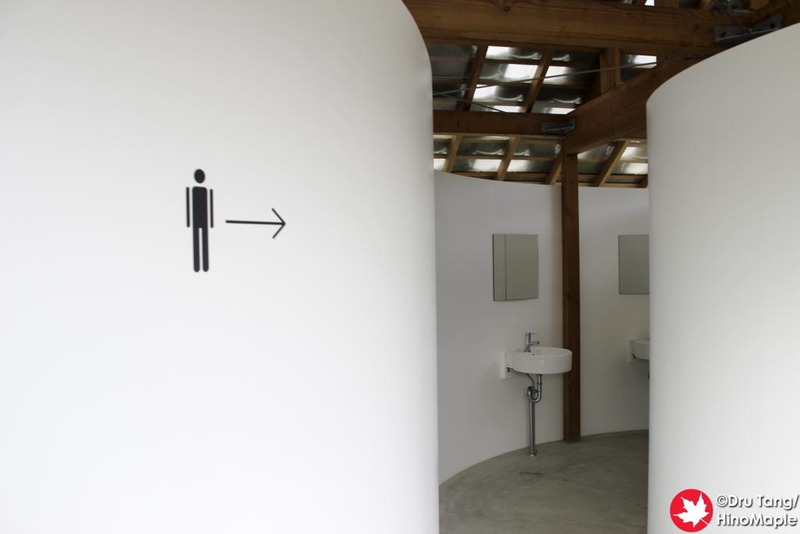 Yo Shimada designed clear roof tiles to allow natural light into the washroom and the effect was well implemented. Hut with the Arc Wall was a nice place and I wouldn’t mind checking it out again. This part of my trip was heavily affected by the heat and when I visited Hut with the Arc Wall I was also very hungry. It was a great place to freshen up but I should have spent a bit more time with it. Time is always the enemy and hopefully next time I’ll be able to enjoy it a bit more. This entry was posted in Setouchi Triennale and tagged Hishionosato, Hut with the Arc Wall, japan, Setouchi Triennale, Shodoshima, Tato Architects, Yo Shimada by Dru. Bookmark the permalink. Keep in mind that the Setouchi Triennale is about art, but it’s also about architecture (even though one of the ideas of the Triennale is that the limit between both is sometimes fuzzy). But yeah the main idea behind the appearance of the building is the soy sauce factories that are all around it.